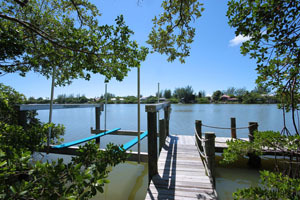 Sanibel Island Real Estate, Captiva Island Real Estate - New Water Front Listing! 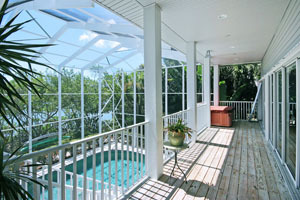 Water Front Sanibel Pool Home! Located on Dinkins Bayou, this spacious pool home has it all - boating, kayaking, swimming, and just a short bike ride to Bowman's Beach! This beautiful home has a large dock with a boat lift. Access to the Gulf of Mexico or Pine Island Sound allows you some of the best fishing, shelling and beaches in Florida! 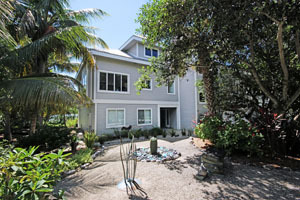 This three bedroom, three bath home was designed by noted Sanibel architect Joe St. Cyr. The contemporary open floorplan maximizes light and views through oversized impact windows, and offers beautiful views of Dinkins Bayou. This is the last house at the end of a quiet dirt road. The home is surrounded by xeriscaped grounds. 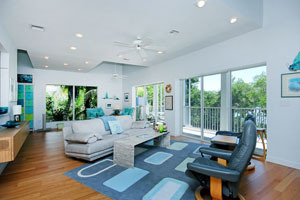 The hardwood floored living area opens to a lanai overlooking the Bayou and your private dock with lift. 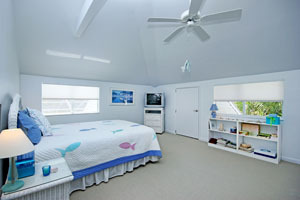 The bedrooms are separated to provide privacy for all. The master bedroom suite is off the living area with sliders to the deck and a two person hot tub. Also on the main level is a second bedroom with a Murphy Bed and fold down desk/craft table. The upper floor has the 3rd bedroom and en-suite bathroom plus an oversized loft with home office and studio space. Located near the J.N. "Ding" Darling Wildlife Refuge, you can enjoy Sanibel's natural environment. Two of the best local beaches, Boman's Beach and Blind Pass Beach, are close by and are perfect for spending the day under an umbrella either fishing or just relaxing. This home is a "must see," and it's easy to picture yourself enjoying this great location! Our "season" is approaching and we have lots of great properties for sale! Give me a call and I can help you find your perfect piece of paradise! Condos, homes, homesites - make this your year to find your place on our islands! I can make it easy for you. You can call me with your buying criteria and I can enter the details into my automatic search system. You will then be emailed any property fitting your needs as soon as it's listed. Easy! Or you can use my user-friendly property search system. You can search by map, size, price or any other criteria that fits your needs. 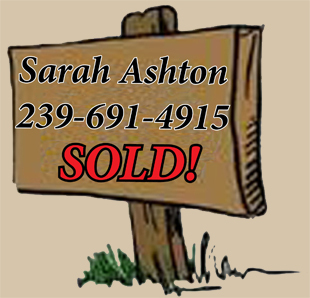 The first thing you should do is Call Me Today!